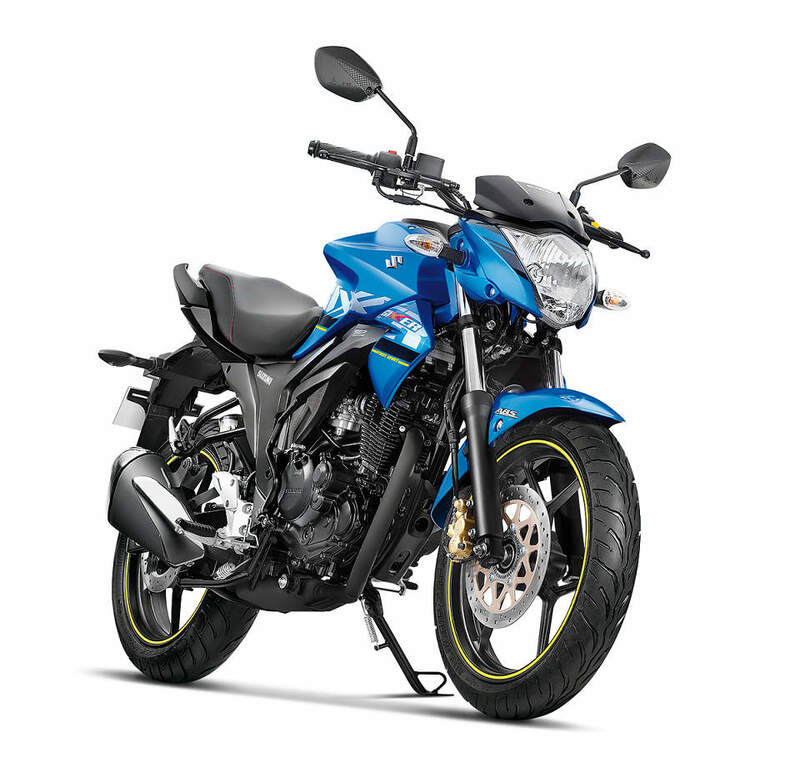 Suzuki Gixxer 155 ABS (Anti-lock Braking System) is what an affordable ABS equipped bike in India looks like. Earlier in the month, 2018 Suzuki Gixxer 155 ABS was spied testing. 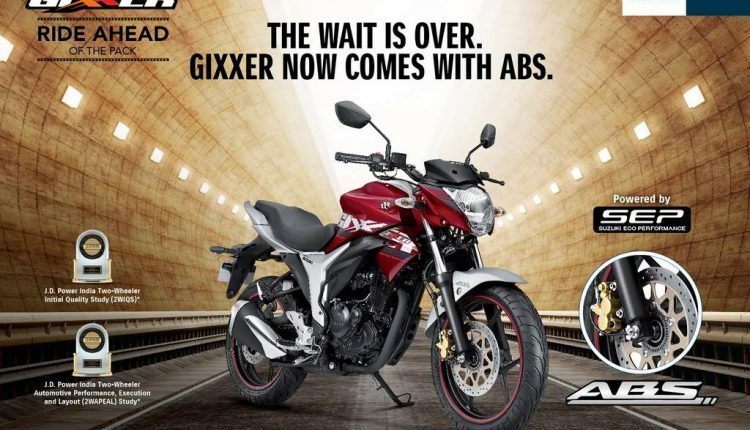 2018 Suzuki Gixxer is the second bike in its segment to offer ABS after Honda CB Hornet 160R. 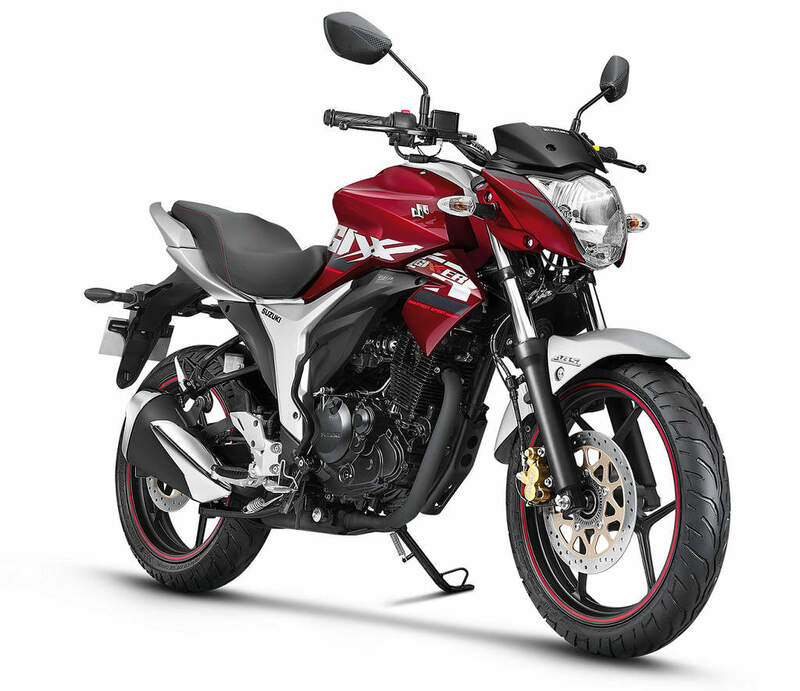 The current Gixxer is priced from INR 77,015 for its base model, while rear disc brake version is priced at INR 80,929. 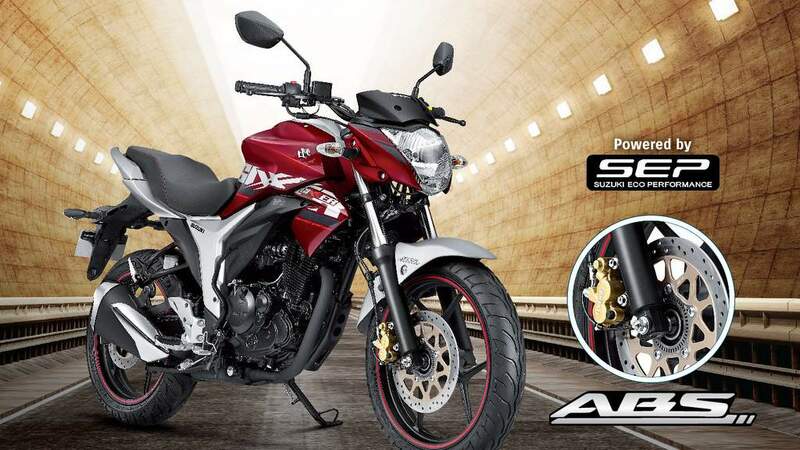 The price of Suzuki Gixxer ABS version was expected at a price of INR 5,000-7,000 higher, and comes in at INR 87,250 (ex-showroom Delhi). 2018 Suzuki Gixxer 155 ABS will be seen with a single channel Anti Lock Braking System that will work on the front wheel. 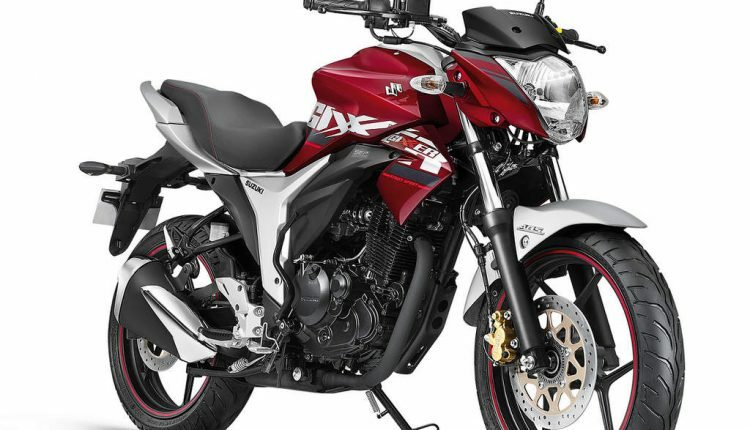 This is the same system seen on Gixxer SF and Intruder 155. 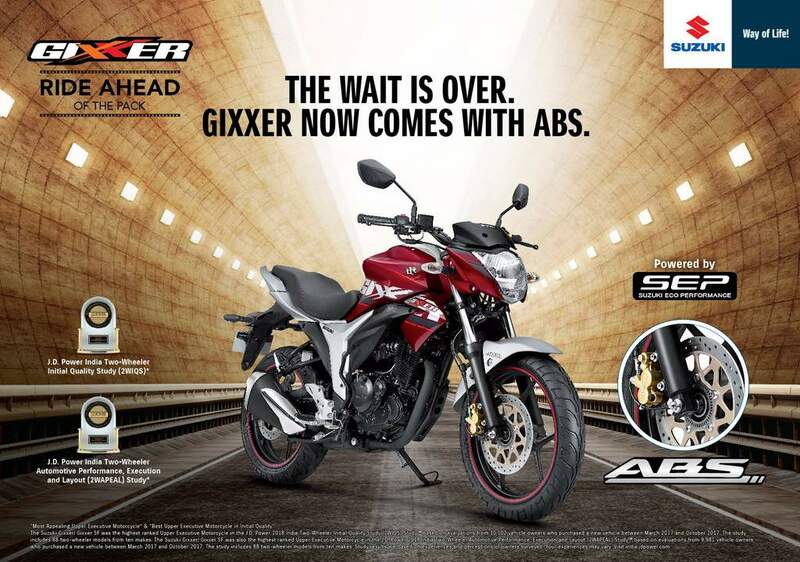 Other than this ABS unit, Gixxer 155 ABS will not sport any other changes except for ABS stickers prominently displayed. Front wheel speed sensor detects wheel speed for optimised stability and controlled braking force. 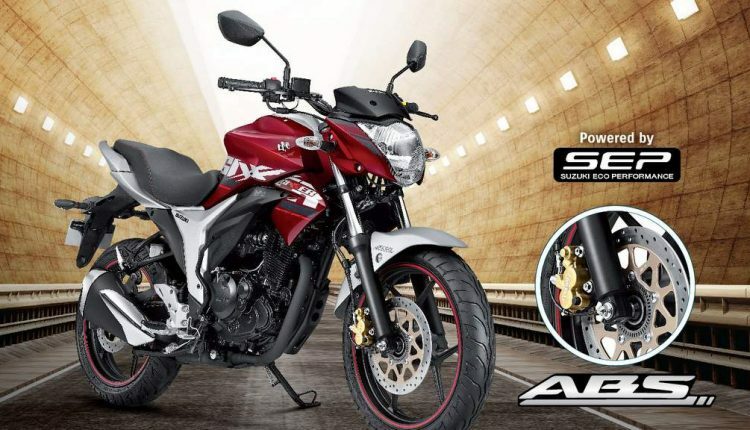 The all-aluminium 4-stroke single cylinder 154.9cc BS-IV lightweight engine produces max power of 14.8ps@8000rpm, and max torque of 14Nm@6000rpm. Jet cooling system (SJCS) takes care of better engine cooling for responsive power and mileage. 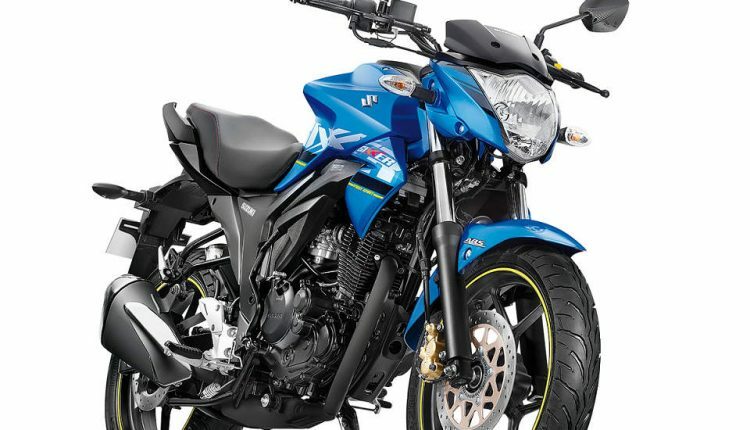 2018 Suzuki Gixxer 155 ABS receives conventional telescopic forks in the front and monoshock at the rear. Its braking is via 266mm disc brake in front and 130mm drum brake at the rear while an optional 240mm rear disc brake will be offered for better stopping power. 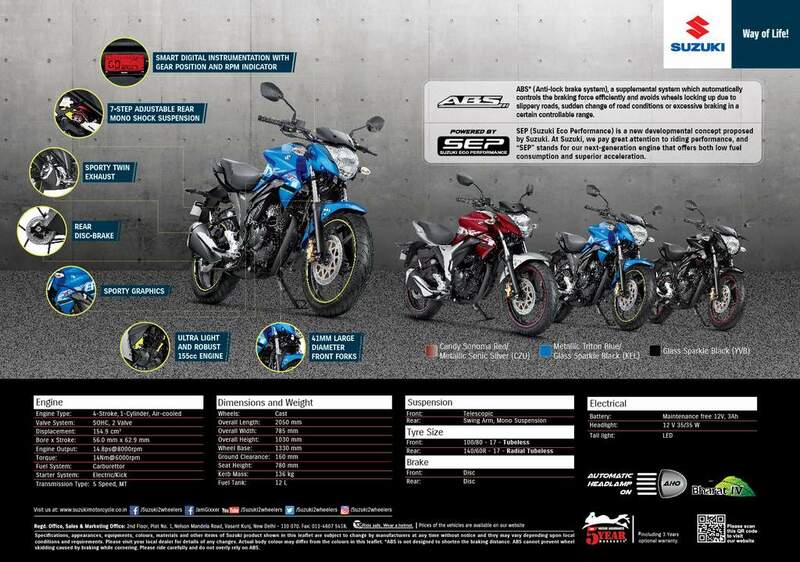 Engine specifications on Suzuki Gixxer 155 ABS includes the same 155cc, air cooled engine that powers the standard model. Standard features – twin exhaust, 3-spoke light wheel, stepped seat, two-piece rear fender, AHO Headlight, LED tail lamp, fully digital speedometer, large diameter with front and back disc brake, and large-diameter front forks. 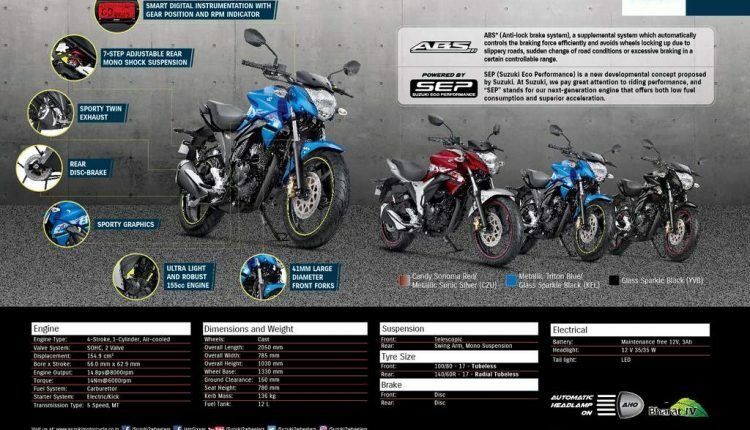 Besides Honda CB Hornet 160R, the 2018 Suzuki Gixxer 155 ABS will also compete with Bajaj Pulsar NS160 and TVS Apache RTR160 4V. 2018 Suzuki Gixxer 155 ABS is available in three colours – Metallic Triton Blue/Glass Sparkle Black, Candy Sonoma Red/Metallic Sonic Silver and Glass Sparkle Black.